For over 40 years, Storage Systems Limited has fitted out Bruynzeel Compactus Mobile Shelving in various Bank of Ireland's offices located in Dublin city centre. 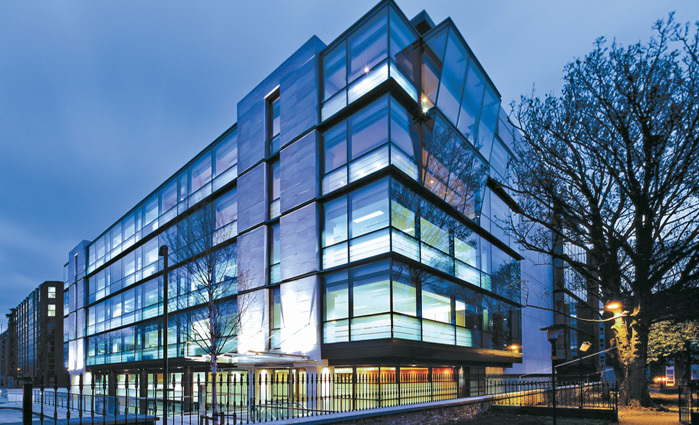 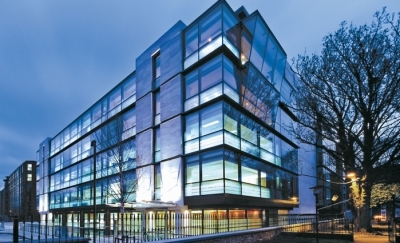 Our most recent installation is the fitout at the new Bank of Ireland global markets office building located in Burlington Road, Dublin 4. 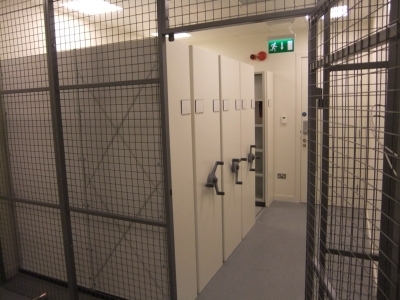 8 blocks of Compactus office mobile shelving were installed onto 5 floors of the office building for the storage of filing and archive material. 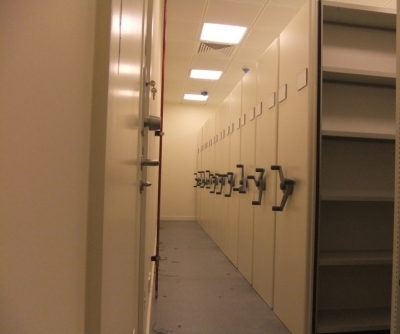 To enhance operator safety each mobile base is fitted with push button safety aisle locks which when pressed by an operator will prevent the movement of the mobile bases when a person is in the aisle retrieving a file. 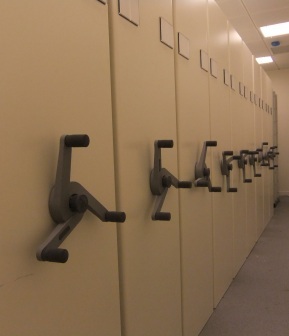 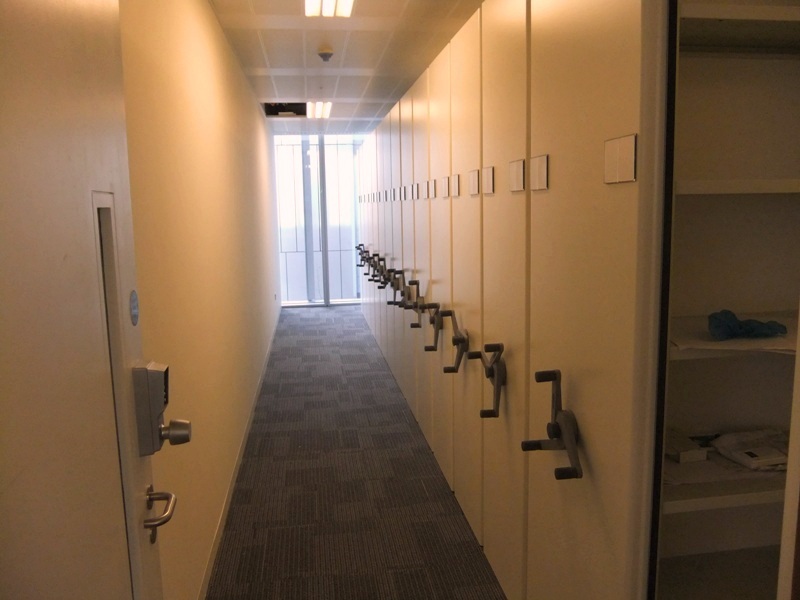 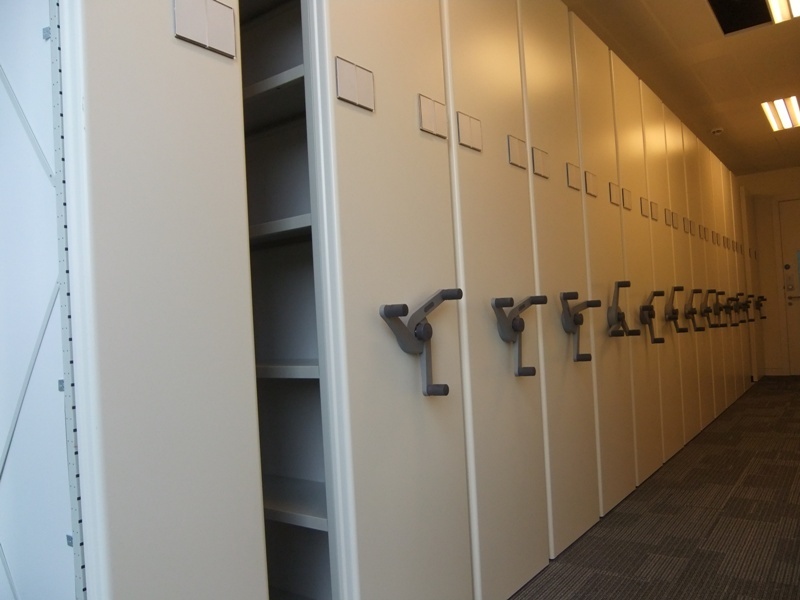 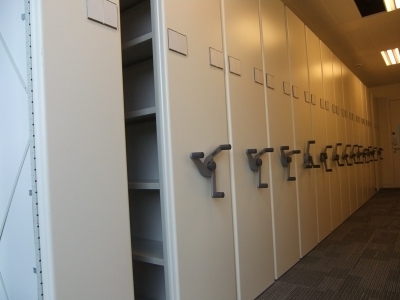 3 blocks of mobile shelving will store private sensitive files and are fitted with a key operated locking system to prevent unauthorized access to files. 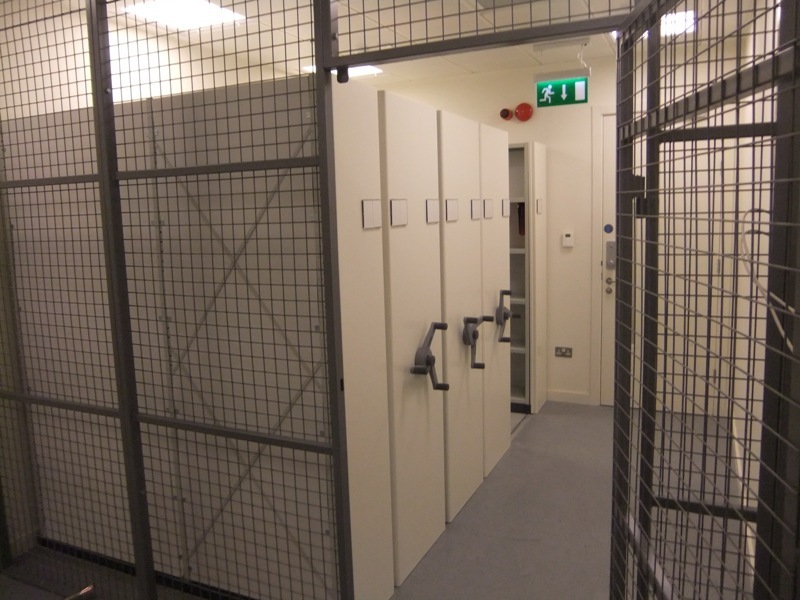 For added security Dexion mesh steel partitioning with lockable doors is fitted around the mobile shelving.